Surveillance cameras are a great way to provide security for your home or workplace. As well as providing you with video footage of any events which may happen, they also act as a visible deterrent to criminals. The Amoury Company provides a range of CCTV cameras, ensuring there is one suitable for every budget. Our range runs from state-of-the-art HD security cameras with 3 megapixel sensors, optical zoom, and pan and tilt functions, through to our great value advanced series range. When connected to a DVR, all of our home surveillance cameras can be accessed remotely from your smartphone, tablet or desktop computer. This allows you to check in on your home or monitor staff at work wherever you are. Many of our security cameras can also be set to be motion activated, recording footage when motion triggers them. 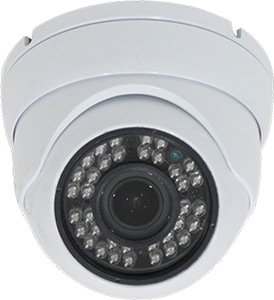 Our range of cameras also includes outdoor security cameras and wifi cameras. Protect what matters to you with a surveillance system. Don't forget, we deliver and install! Our range of DVR security systems connect with CCTV security systems, enabling you to record what the CCTV cameras see, and play it back at a later date. Many systems also support wireless camera connection. 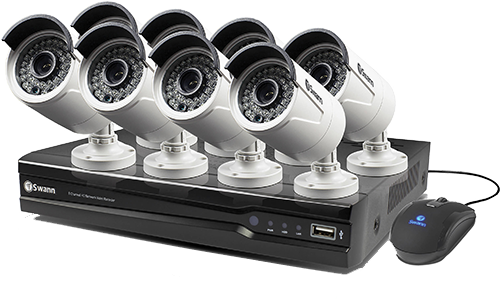 All of our DVR security systems provide remote viewing, enabling you to view security footage remotely either from a computer, your smartphone or tablet. Protect your home or business with a CCTV security system. The Amoury Company also carried the Eclipse line of CCTV solutions. Eclipse Surveillance provides an enormous selection of CCTV surveillance cameras which are perfect for both your video surveillance needs and budget. If you need security video cameras for your business, residence, or both, we've got solutions that will serve your specific situation in a variety of resolutions, form factors, and video signal technologies. We provide you with trained support from our extremely qualified staff on each of our products.